Walking is a healthy activity that many doctors and fitness advisers highly recommend it. A myriad of studies exist touting the benefits of walking. Add to the fact that walking is an incredibly effective exercise. It’s also convenient and easily integrated into daily life. 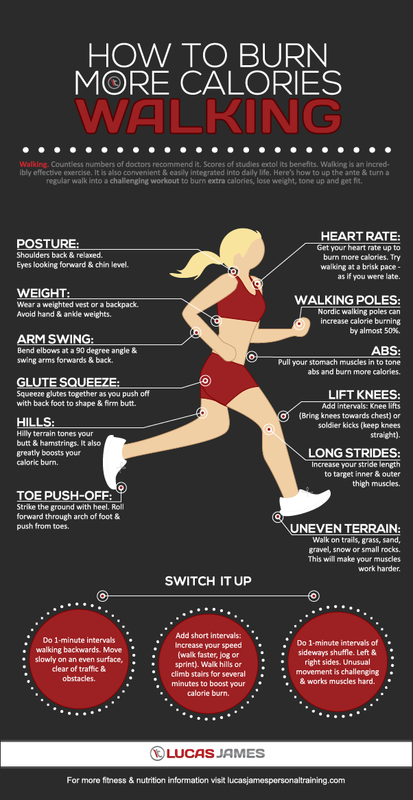 In this infographic, Lucas James shows us how to up the ante and turn a regular walk into a challenging workout to burn extra calories which will help one shed unwanted pounds, tone muscle and ultimately get fit.